The Only Hearts Club dolls have never looked so pretty in pink... until now. 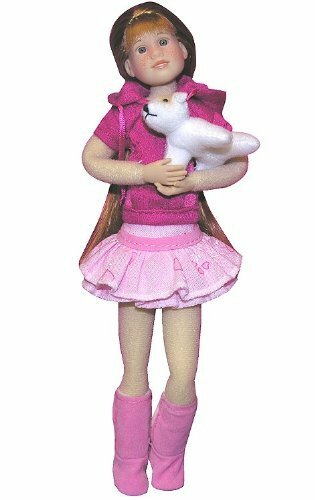 The Pink Hoodie & Fleece Boots set is the perfect outfit to brighten up any of your Only Hearts Club dolls' day. The Only Hearts Club doll clothes set comes complete with pink hoodie, pink skirt, pink fleece boots and a matching purse. Doll not included. The Only Hearts Club Dolls are winners at everything they do! 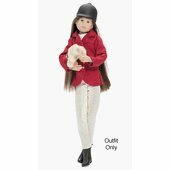 The Only Hearts Club Dolls English Riding Theme outfit set includes a white leotard, black riding jacket, riding pants, riding boots, english riding hat, and a blue ribbon (not shown). Even if they don't receive the blue ribbon, they're good sports, and they believe with that attitude and their determination to try hard at all times, they're still a blue ribbon winner. Doll sold separately. The Only Hearts Girls wear the greatest English riding gear! This includes classic colors and styles, as well as the latest and newest, colorful helmets, jackets, breeches and boots. Mix and match to create new and exciting fashions! Includes riding helmet, riding jacket, shirt, breeches, riding boots and blue ribbon. Age 5 & up Size: Fits 9" dolls. Western Outfit Set-So Small...So Cute. So Soft...So Cool! The So Small Pets like to dress up in all sorts of cool outfits! Whether a So Small Pet is doing its favorite activities, or just hanging out with them, kids can mix and match to dress them in the latest, coolest So Small outfits! 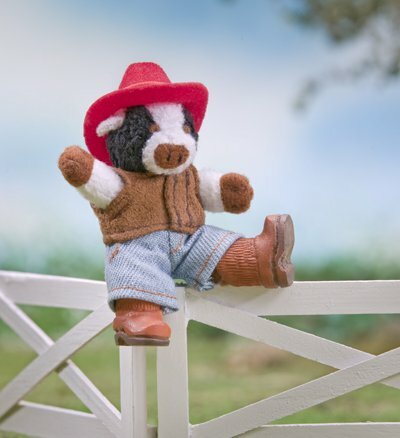 Western Outfit Set - Four piece set includes suede style vest, jeans, cowboy hat and cowboy boots Outfit set ONLY, does not include plush cow pet. Items not included - landscaping, fence & plush cow pet. Colors and styles may be different than shown. THIS PRODUCT IS AGE RATED FOR 3+ AND CONTAINS SMALL PARTS. NOT RECOMMENDED FOR CHILDREN UNDER AGE 3. Copyright © Wholesalion.com 2019 - The Best Prices On Boots Only Hearts Club Online.